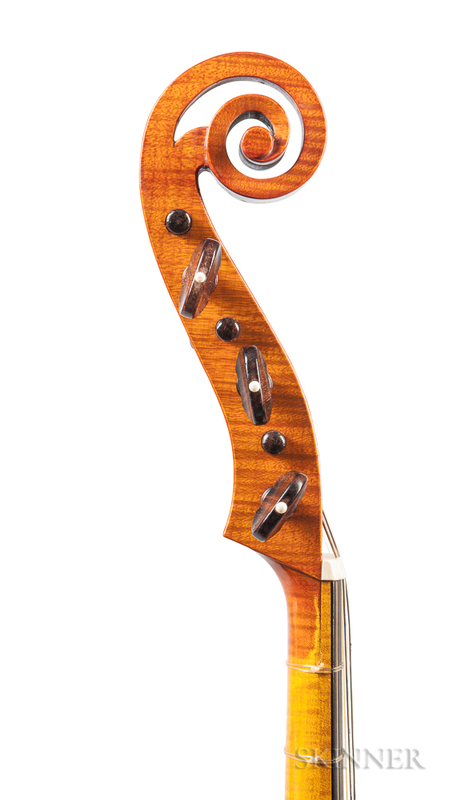 English Division Viola da Gamba, Michael Heale, Guildford, 1981, no. 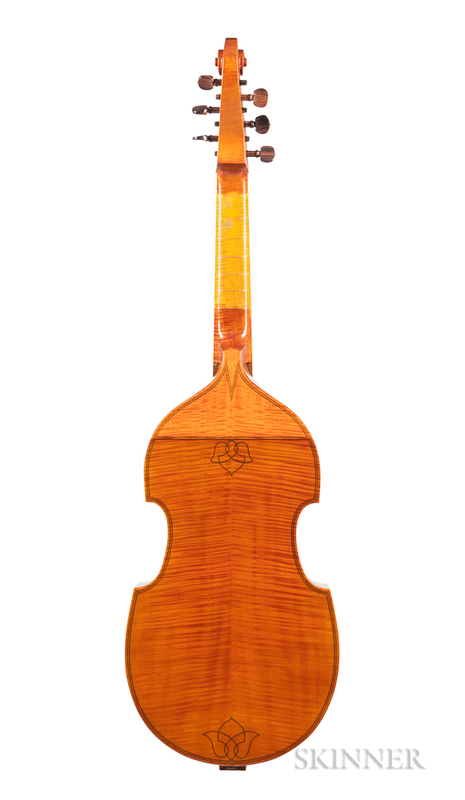 252, bearing the maker's signed label, length of back 640 mm, with case and bow. Minor crack to upper bass rib, slight bulge to lower ribs. Vibrating string length approximately 660 mm.